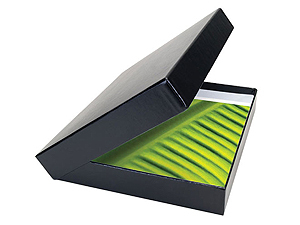 These heavyweight 5x7 archival quality presentation boxes are essential for preserving and storing your valuable images. These heavyweight archival quality presentation boxes are essential for preserving and storing your valuable images. One piece clamshell design allows the rear spine to lay flat for excellent presentations. Use for matted or un-matted prints.